Since we moved back to Lexington and we’re back to cooking for ourselves 100% of the time, I wanted to get back into doing recipe posts on a biweekly basis. 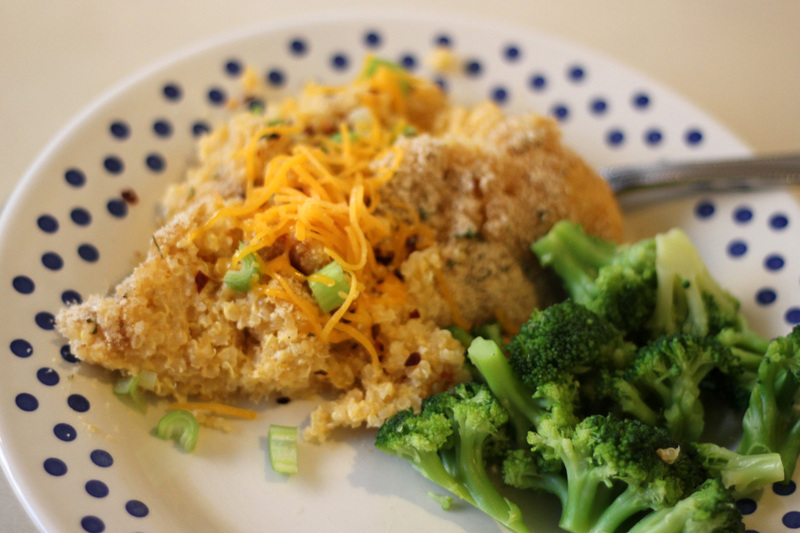 So this week I picked out a new recipe that I’ve been meaning to try and gave it a shot! Here’s the thing- it kinda fell short. It was totally my fault. I didn’t have leeks or shallots, so I threw in some dehydrated minced onion, and called it a day. The flavor seemed kinda off as a result. It was pretty funny because I thought about it the whole day the next day, and debated whether or not I should just scrap the post altogether or just kinda fudge it. (I know, right? Isn’t that terrible?) I didn’t hate it; I just didn’t love it. That’s when I realized that there was no way I could do this as a regular recipe post- who wants to make something that’s “just okay?” I felt so ridiculous for being disappointed at how this dish turned out because it was messing up my blog schedule. It’s hard because on the one hand, as a blogger it’s important to plan ahead. I’ve started using an editorial calendar, and I get really excited for posts when I think something is going to be a really great idea. The problem is that when something doesn’t go how you wanted it to go, you have to adjust. You either have to come up with something else, or find a way to salvage it. There’s this fine line in blogging between authenticity and perfection. You are supposed to be honest and yourself, but also not compromise and produce content that is less than perfect. I didn’t want to tell you guys that I really liked this recipe when mine turned out only okay, but it really was only okay. Have you ever planned a post and had it not turn out the way you wanted it to? What did you do? I’d love to hear the details! P.S. When I ate this leftover, I smothered salsa, sour cream, and a little more cheese. It was WAY better. 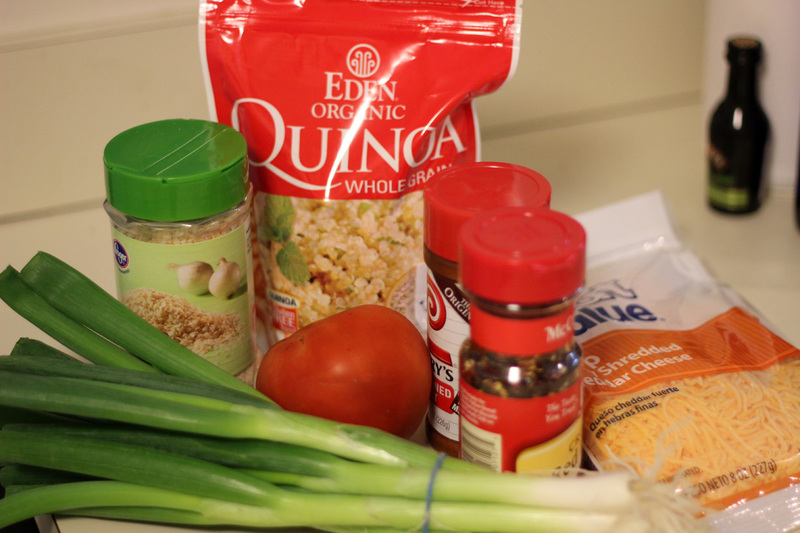 If you have some quinoa, it’s worth a try. Hey! I recently made a big batch of southwestern quinoa salad to take to work for lunch through the week. It’s a great quinoa dish if you’re interested (I just searched for it in pinterest and sort of combined a couple recipes/put in whatever I had around)! Yum, that sounds good! I’d love to see it! Love this, Kate. I think we’ve all definitely been there, and sometimes it makes me wonder (about myself) if I work too hard to try and be interesting so I can blog about it. Because let’s face it—my life isn’t that exciting! Funny thing—I spent a long time working on my bachelorette pad bedroom post, using a photo as inspiration and searching for items to ‘make it your own.’ Total flop. Then posts I didn’t expect anyone to like, ends up as one of the biggest traffic drivers. Sigh. So I guess I’ll just keep writing whatever the heck I want (so long as it fits within the general scope of the blog) and figure it out from there. Isn’t it funny how that works out? I think you’re right- it’s important to blog about what you like because you never know what will resonate with your readers! I think every blogger has done this at least once. I know I have. Whether it was because of laziness or rather just the fact that I needed/wanted a blog post for the day (even if it wasn’t my best performance – writing or photos). And usually I’m a perfectionist to the T. But…life does go on and I live to blog another day. I know exactly what you mean…And thank you for sharing this! Balancing honesty + high standards is really, really hard. I think it’s especially challenging in the blogging world – because we’re constantly surrounded by fabulous content and it’s truly difficult to keep perspective. Thanks for writing this :) xo! ah-shame it didn’t work this time-next will be better-but i am new to your blog and think it is just lovely-a recipe post or an ‘almost’ recipe post-never mind! ohmygosh, THANK YOU I can’t WAIT to make this healthy thing–good way to get the quina in!